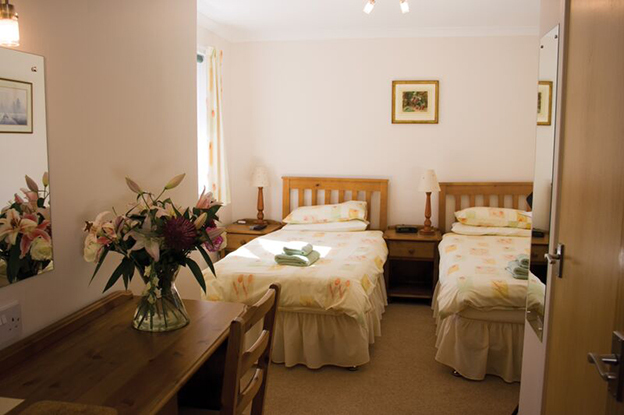 The bungalows are a crescent of comfortable houses maintained to a high standard, each featuring two well-proportioned bedrooms with a sofa bed in the lounge. 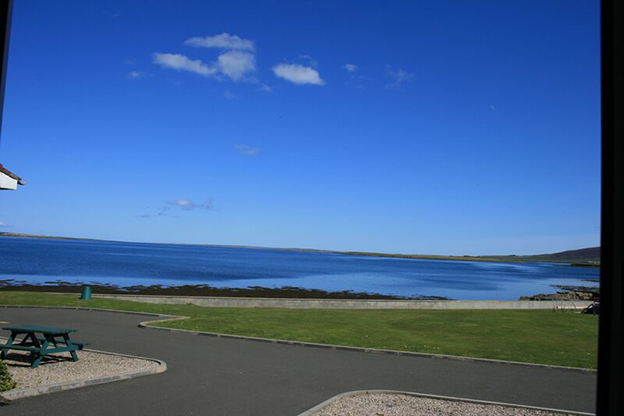 The West Mainland and Finstown have so much to offer within easy reach - lovely walks, sandy beaches, RSPB nature reserves, freshwater lochs for trout fishing, an art gallery, a well-stocked local shop and a pub. 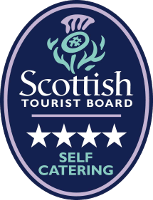 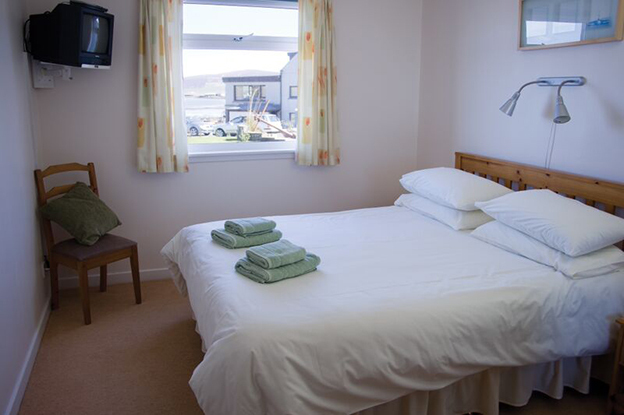 Each bungalow boasts modern, light décor and has a comfortable double bedroom and twin room, with an airy and fresh bathroom all cleaned to a very high standard. 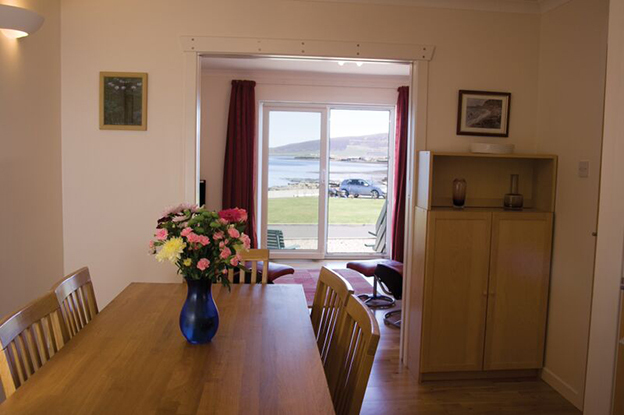 Sliding doors seperate the dining room from the sitting room, which looks out over the Bay of Firth. 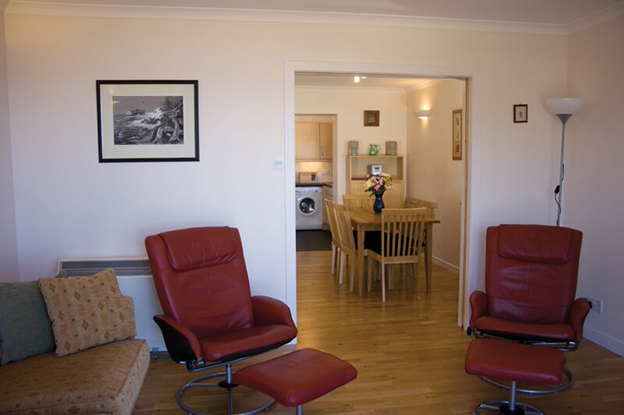 French doors open on to your own patio, which is furnished with chairs and a patio table for the warmer summer evenings to relax, unwind and enjoy a glass of wine. 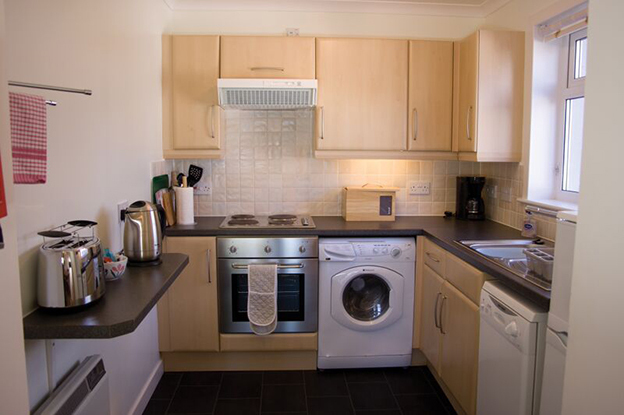 In addition there is also a drying area and small garden for resident's use. 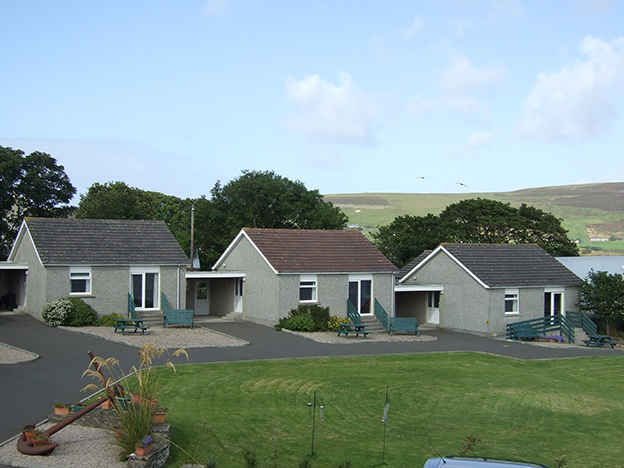 Bungalow number 5 is also suitable and easy accessible for those with limited mobility as the bathroom has a wet room shower and grip handles, and there is a ramp to the front door of the property.